Performers for the ACM Weekend at Fremont Street Experience were announced today (Feb. 28). The seventh annual event will take place Friday and Saturday, April 5 and 6. The two nights of free, open-to-the-public concerts in downtown Las Vegas at Fremont Street will be hosted by Blair Garner. They kick off at 9:00 p.m. with performances on two stages. 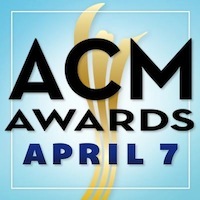 The ACM Weekend at Fremont Street Experience is part of The Week Vegas Goes Country, which leads up to the ACM Awards, to be broadcast live from the MGM Grand Garden Arena Sunday, April 7 on CBS. Other events include ACM Party for a Cause and The ACM Experience.